Chicago police want to re-interview Jussie Smollett about the night he says he was attacked, but it's unclear if or when the "Empire" actor will comply. Lauren Petty reports. How the tide has turned. In the wake of "Empire" actor Jussie Smollett's alleged attack a throng of celebrities and politicians rushed to social media to embrace the actor and condemn the incident. But, in the wake of allegations Smollett may have orchestrated the attack, many are now openly questioning his role in the incident or quietly withdrawing their support. Chicago police are still seeking a follow-up interview with Smollett after questioning two brothers about the attack who were then released Friday without charges, police spokesman Anthony Guglielmi said Saturday. Never one to hold her tongue, Cardi B addressed the Smollett case during a live stream over the weekend. “So, I’m really disappointed in Jussie Smollett, whatever the f**k his name is. I’m really disappointed in him. I feel like he f**ked up Black History Month, bro,” Cardi said during a live stream. 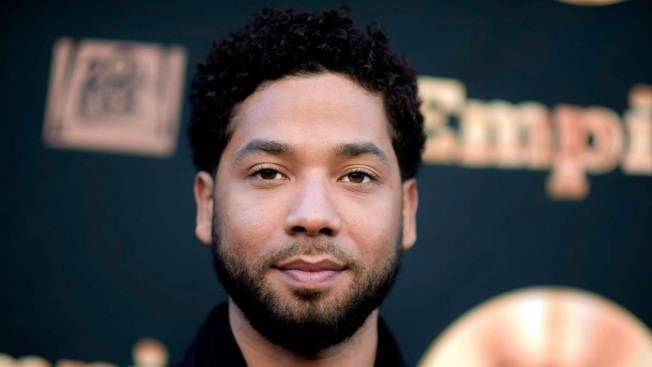 Cardi isn't the only entertainer shifting gears on Smollett. Rapper Snoop Dogg posted a meme over the weekend that showed Smollett on the run from police. Speaker of the House Nancy Pelosi quietly deleted a tweet she sent out on January 29th, according to Business Insider, stating: "The racist, homophobic attack on [Smollett] is an affront to our humanity. No one should be attacked for who they are or whom they love. I pray that Jussie has a speedy recovery [and] that justice is served. May we all commit to ending this hate once [and] for all." MSNBC political commentator Rev. Al Sharpton, who appeared side by side with Smollett in July for a screening of the film "Rest in Power: The Trayvon Martin Story" said the actor should face severe consequences if it's proved that he orchestrated the attack. "I, among many others when hearing of the report, said that the reports were horrific and that we should come with all that we can come within law enforcement to find out what happened and the guilty should suffer the maximum," Sharpton said on his show "PoliticsNation." "I still maintain that and if it is that Smollett and these gentlemen did in some way perpetuate something that is not true, they ought to face accountability to the maximum." New Jersey senator and presidential hopeful Cory Booker, who called Smollett's alleged attack "an attempted modern-day lynching," told reporters over the weekend that he would no longer comment on the incident for the time being. "I'm going to withhold until all the information actually comes out from on the record sources," Booker told reporters, according to CNN. But director Ava DuVernay said despite the inconsistencies she would reserve judgment because of her overall skepticism about the police. Despite the inconsistencies, I can’t blindly believe Chicago PD. The department that covered up shooting Laquan McDonald over a dozen times? That operated an off-site torture facility? That one? I’ll wait. Whatever the outcome, this won’t stop me from believing others. It can’t.